No one likes to think about their eventual death, but the fact is that clear and guided planning beforehand can and will impact the quality of life of your surviving loved ones. The team from Guardian Financial Management in Lewisville, Texas, helps you start the estate planning process now, so you can live knowing your family will be financially protected. While the concept is simple, the vehicles, planning, and implementation process of estate planning can be rather complex. We recommend working with an experienced planner who can help you navigate the applicable tax laws and emerging vehicles that can best protect and transfer your assets. This valued ally will do the legwork of keeping up with current changes in the field and communicating new developments on a day-to-day basis. Life insurance helps to protect the financial security of those you leave behind, ensuring a legacy that will continue to support your loved ones. When shopping for life insurance, consider needs such as replacing income to maintain your family's standard of living as well as paying for your funeral and estate costs. A general rule is that you may want to seek coverage between five and seven times your gross annual income. As far as the various types of policies go, they can generally be placed into one of two categories: term and permanent. Term insurance generally provides coverage for a specified time period and pays out a certain coverage amount to your beneficiaries if you die within that time period. In a level premium term policy, you pay the same amount of premium from the first day of the policy until the term ends. A permanent insurance policy, on the other hand, will stay permanently in effect for the rest of your life as long as premiums continue to be paid. There are many different types of trusts, and they can be complex to set up and execute. However, this financial product can be a very flexible and advantageous means to transfer your assets in the future. Most trusts provide current benefits, such as tax deferral and deductions, and, unlike a will, a trust may help avoid probate upon your death. To learn more about trusts and how they may benefit you, we will be happy to help you consult a qualified estate planning attorney who can assist you with these issues. Probate is the potentially lengthy and costly legal process that oversees the transfer of your assets upon your death. If you do not create a will or set up a trust to transfer your property, state law will determine what happens to your estate through a process called intestate succession. Without a will or some other form of legal estate planning, there is a chance that more of your property will not go where you want. It is easy to avoid these situations by drawing up a will that divides your estate exactly according to your wishes. 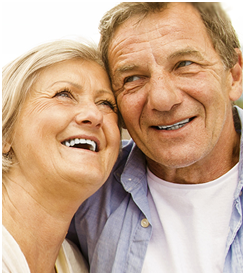 We can refer you to a qualified estate planning attorney to assist you in these matters.